Every great business starts with an idea, and every fortune 500 starts as a small business. Are you searching for the best small business ideas to launch a niche business? Let me tell you this, you already have the best small business ideas. You just need someone to help you identify the most profitable one. Let’s do this together. Hi, this is TQ. Here’s my profile. I make money online by creating niche businesses. Niche business is the most profitable small online business to start. 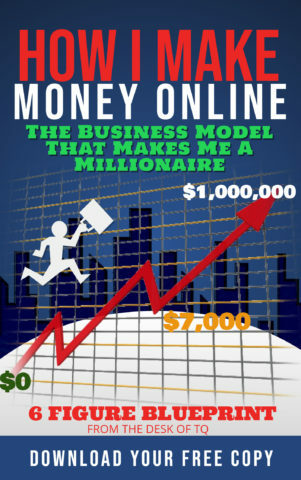 If you are thinking of starting an online business, I suggest you take a copy of my ‘Guide To Make Money Online‘ together with this best small business ideas list to help you build your own successful online business. A successful small business begins with a passion! Passion is the driving force of every entrepreneur success. Without passion, we will quit or give up when facing difficulties and challenges. Passion is the cornerstone for us to build our success. Therefore, passion is the starting point to help identify the best small business ideas. This best small business ideas list is organized into a group of 10 ideas according to passions or interests. You should start searching for a profitable small business idea by visiting the group or groups that match your passions or interests. I am sure by the end of the list, you will be able to identify an idea to launch your small business. Once you have chosen an idea, you are ready to build a business website to introduce your small business to the world. You spend days and nights on your computer and never get tired. You are the first in line to test out new technology. You read and follow everything techs. Your friends are techies, and everyone seeks you out for advice on computers, the web, network, coding and more. Well, here are the 10 best small business ideas that you can start in the tech industry. The affiliate marketing industry is forecast to reach $6.8 Billion by the year 2020. It is one of the fastest, cheapest and easiest ways to make money online. As an affiliate marketer, you earn money by receiving a commission from referring customers to purchase products or services offered by other companies. You can start this small business part-time at home. You should focus on promoting products or services that you are using or familiar with first before expanding. The largest affiliate program is Amazon, which offers commission from 4% up to 70%. This program is free to join. You only need a blog or a website to join an affiliate program. 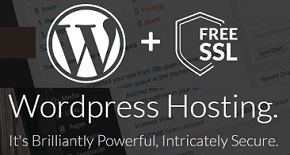 You can easy to build your own WordPress website to launch an affiliate marketing business today. A blog is very easy and simple to start as a small business. Most bloggers begin blogging as a hobby, writing and sharing things that they love such as fashions, culture, video games, movies, or personal journal. Over time, the blogs will grow in popularity and generate a large number of followers or visitors for the blogger to monetize and make money. You can earn money by selling ad space on the blog or join the Google Adsense program. You can also become a blog consultant offering advice and expertise to help small business manage their online presence. If you love to write, blogging is the best small business for you. I suggest you try these 10 Free Lessons to learn the process of launching your own blog business. To enter this business, you must have some skills in web design and coding. This market is huge and highly competitive because every business wants to have the best website to compete online. Your chance of success is depended largely on your ability to create a stunning, unique and beautiful website for the clients. Your first impression will be your own website. This is where you can showcase your skills and expertise. Majority of web designers start out as an independent freelancer before launching a small design business managing other designers. Once you have a professional small business website set up, I suggested that you target small businesses or nonprofit organizations as the initial clients. eBooks are just regular books that are delivered online by email or downloaded. eBook covers a whole range of topics from romance, mystery, action, DIY Guide, Religious, and many more. You can write an eBook yourself if you have a good story to tell. One thing you must remember, the topic of your eBook must have a market of willing buyers. Creating an eBook is a self-publishing opportunity for all writers. You are no longer dealing with publishers, printing presses, and distributors. You can write, print your own eBook right from your computer, and distribute them in the form of a PFD file. Many eBook writers choose Amazon to distribute their eBooks. However, you can offer your eBook to readers right from your own small online eBook store. Many writers and bloggers have adopted this business strategy to entice visitors to their website. Content is king! Any business wants to succeed online must continuously provide high-quality content to satisfy customer demands. There will always be a strong need for content marketing creator if you can deliver unique, quality, volume, and valuable content that brings real results. Operating a content marketing business, you don’t have to target a niche or a segment of an industry. However, it is wise to focus on an industry or subject that you have knowledge or experience in. As long as you can provide quality content at a reasonable price, there will always be a market for your small business. You can start this small business by signing up for social media accounts and start collecting followers. It sounds easy, right? The key to becoming a social media influencer is the number of people following you. Your everyday job is to attract and convince people to become your follower. This is where your creativity and talent will come into play. This is why not everyone can become a social media influencer. The amount of money you can make with this small business is directly connected to the number of social media followers that you have. The larger the audience, the more impressions the ad can reach. Ads payment are calculated based on impression. So, an influencer with a large account of followers will charge more. Unlike a social media influencer, a social media manager helps businesses and companies to manage their social media accounts. Your job is to post, share and tweet on your client’s behalf. If you enjoy doing all of these, then you should start a small business offering social media management services. Your clients include large and small businesses whose are new or unfamiliar with social media activities. They are looking to you for planning and strategy in expanding and promoting their brand on the social media platform. The market demand for a social media manager is endless. You can start this small business from home working as a freelancer. Companies hire a graphic designer to create art pieces that can be used in business marketing materials such as brochures, business cards, business flyers, other communications documents, and business websites. The recent growth in mobile phone usages has created a strong demand for graphic designers with animation and interactive website design skills. You can launch this small business by creating a fabulous looking website to demonstrate your graphic design skills and talents. The website is used as your selling point to attract new clients. Every website owner wants to rank on the first page of the search engines. It is no wonder the demand for SEO consulting is huge. The first thing to want to do before launching an SEO consulting business is to get your webpage ranked number 1 or on the first page of the search engines. It doesn’t matter what webpage ranks number 1; if you have web pages on your website that rank number 1, businesses will hire your company. Today, every household has at least one computer. I am not talking about cell phones, just computers. A computer always has problems. Small businesses and non-technical people will need your help when their computer acting up. Anyone with computer knowledge can start this small business from home. I know many high school students, offering tech support in the summer to earn extra money. All you need is a website and marketing materials to promote your computer repair and tech support business. You are truly a people person. You enjoy working with others to help them succeed. You just want to give back to your community and always ready to lend a hand. You can be very successful in these businesses. This is one great way to make an impact and give back to your community while helping those in need. Starting a small nonprofit business allows you to work on issues that you care at the same time making a difference in people’s life. The internet makes launching a nonprofit so much easier. Social networks allow you to spread your messages and reach millions with very little investment. The internet also provides you with a convenient way to tap into resources and funding that currently available online to support your nonprofit. There are plenty of nonprofit management and marketing resources available for you to use online. As a nonprofit business, you can get a grant to create a free website, free marketing, and free training for you and your staffs. Local businesses, as well as big corporations, are constantly looking for a great cause to support. It is a way for them to give back to the community and to promote their business. Your nonprofit business can provide them with this opportunity. The market for a personal trainer is large enough to include all types of people from the youths to the retirees. A successful personal trainer should have experience and skill in fitness training, especially in health and exercise. Besides experience, you should have good people skills and enjoy working with people of different age, ethnic, and background. Your job will be a motivator to help the clients achieve their goals. You can launch this small business by aligning yourself with gyms, community centers, or sports team to build the client based. Eventually, you want to build your own business with the regular client to work with. It is recommended that you start your small personal training business with a focus on specific groups, such as working professional, school athletes or seniors. Now is an excellent time to open a daycare. You can start an in-home daycare business to allow you working from home. An in-home daycare can be a fun small business for anyone who loves to work with kids or even seniors. This type of small business will always be in demand as more and more working professionals need someone to look after their children or aging parents. You can start this small business in your home or in the workplace. Many corporations, especially hospitals, willing to provide you with free space if you offer daycare services for their employees. This business does require licensing, make sure to check with the local authority to obtain the proper documents to launch this business. Event planning is truly a people business. A successful event planner requires possessing a specific personality, such as outgoing, social, and creative to name a few. To launch this small business, you do not need any specialized degree or certification. However, like most industries, prior experience is essential to building a successful business. You can be a generalist event planner, but it is easier to manage and more lucrative to focus on a niche. If you like to work with the youth, specialize in parties for young kids. If you like large events, then focus on corporate events or wedding planning. Think carefully about a specialty that you could do well in, then talk to a few experts in this field before you open shop. You will need to have a website to promote your event planning business. Having an online presence helps you attract more clients. You should consider looking at creating your own small business Website. Private teaching and tutoring business allows you to live your passion for helping students learn on a one-on-one basis. Parents will employ tutoring services to help their children improved their academic performance. The recent increases in school violence have prompted many parents to choose to homeschool their children. This also adds more demand for private in-home teachers. You can launch this small business tomorrow if you possess a teaching background or expertise in specific subject areas such as math, science, English, music, SAT or ACT. Teaching sessions can take place in your home, the home of the student, at a public library, or even online. There are different methods that you can use to promote this small business. First, create a free small business website that lists the subjects you wish to teach as well as your teaching qualifications. Print out some business flyers and stop by the schools you’re interested to hand out business flyers and inquire about their tutoring needs. You should reach out to friends whose are school teachers to ask for references. Last, attend the Parent Teach Association (PTA) at your local school to network with parents and promote your small business. Dance is a great activity and exercise for all ages. There are different styles of dance that are taught and practice throughout the world. A dance studio business is a common place where people can take dance lessons. If you are experienced or a qualified dance teacher, you can start offering dance lessons in your own home. As your small business grows, you may expand to offer a variety of dance style and lessons with large studio space and hire more dance instructors. Sales training is a critical function for many businesses, even for small businesses. You can offer sales training services in one-on-one coaching or a group setting. Training lessons can be taught at your home or at the client location. The chance of success in this business is largely depended on your personal sales experience, techniques, trade secrets, and the ability to transfer that same skills to others. Each industry requires a different set of selling styles and techniques. You need to choose a market niche and focus on building your small business around it. You can launch this small business with a personal website. Explanations of the benefits and value that your sales training program can add to the client’s business goals such as more sales, expand customer base, or better salesmen. Your marketing presentations can be presented to business owners and corporations that rely on a sales team to drive business revenues and profits. The demand for career coaching is at all time high as more and more people looking to advance their career or to enter the workforce. A career coach offers insight and advice to help job seekers land the job or the career of their dream. Your typical clients include an individual who is recently getting laid off, looking for career advancement, or large corporations requiring support for their high-level executives who are struggling with people management issues. A successful career coach is someone with great communication skill, a motivator, and love to work with people. You should have some executive leadership background or have been working in a professional career for some time. You can start a career coaching small business at home with a basic business website to promote your qualification and experiences. You can find clients by joining local professional organizations or offer a free resume workshop at a local career center, churches, or technical schools. How do you like to go on a shopping spree and get paid for it? Seniors whose are homebound or unable to drive due to health or medical conditions will need help with everyday errands, like shopping for groceries. All you need to start this kind of business is reliable transportation such as a car. You do not even need to own one, you can hire a vehicle each time you need to make a delivery. There is no special training or qualification requirement except common sense and the ability to follow instructions to obtain items from a list. If you have done grocery shopping for yourself, then you certainly can operate a grocery shopping and errand service for seniors. You only need some marketing material such as business flyers, business cards, email, and a website for clients to contact you. You should visit places where seniors are gathering such as community elderly centers, hospitals, religious centers, or online senior’s forum to promote your small business. The love for selfie has created a popular hobby and home-based business, Photography. You do not have to be an expert, all you need is a passion and a set of creative eye to be a successful photographer. You can launch this business at home with a cell phone. Just start taking pictures of products, natures, animals, houses, and buildings, then post them online for businesses to use with their marketing materials. You will receive a royalty fee payment every time your picture is used. A more lucrative niche is non-business photography. This includes taking portraits or photograph weddings and special events. You have an eye for new product trend, design, and fashion. You know which products are currently hot and in demand. You understand consumer interest and tune in to what they are looking for. You love to attend product trade shows and industry conventions. Yes, you are a product specialist and here are 10 best small business ideas for you. As a product reviewer, you provide valuable information to consumers and have a profound impacted on their purchasing decision. You make money by providing affiliate links to the products that you review. You can earn a commission anywhere between 4% to 75% per transaction, depending on the affiliate program commissions structure. Sometimes a great review is a negative review as long as you are honest and truthful. Many companies are willing to pay and provide free products for you to review. This type of advertisement is much better than Google ads because the product reviews stay on the web blog until the bloggers decide to shut it down. The companies that provide you free product to review get the benefit of long-term promotion as the review remain on your blog for years. The best way to get clients is cold calling local businesses, or by sending promotional email to perspective product companies. Ecommerce offers a wide range of opportunities to increase your products reach and generating more sales and revenue. It is a wonderful way to offer customers round the clock access to your products or services. The biggest benefit of ecommerce business is its reach. Since ecommerce business operates on the internet, it gives small business the ability to reach more customers than it could with a brick-and-mortar business. You can launch an ecommerce small business by either creating your own website (DIY), or you can use online shops like Shopify to launch a full ecommerce store is a few hours. I recommend you using the ecommerce platform to build an online store to eliminate the costs of hiring expensive professional web designers and coders. Dropship is an online retail business where someone willing to pay upfront inventory costs on thousands of products and provide a complete fulfillment process for you to build your own online store. This means you only need a business website to take the product order. The suppliers will ship the product from their own distribution center. The best part of dropship business is you can run it from anywhere without worrying about fulfillment and inventory. You can discover more from this article how drop shipping is the easiest way to sell online. Custom jewelry is a lucrative small business to start if you can create stunning jewelry designs. It is very easy to turn this hobby into a small business by simply offer your services online or to local jewelry stores. The key to success in the jewelry designed business is your ability to create a distinctive collection within your own brand. You should start by creating a few samples of unique design pieces and showcase them online through your website and marketing materials. You can also offer to sell these custom designed pieces through your own business website. It is a great way to learn an online business by selling used items. You can start by offering items around your house that you are no longer using, then gradually go into purchasing wholesale items to sell on eBay. As your business volume grows, you can potentially attain Power sellers on eBay. This is an elite group of sellers that enjoy many special benefits such as shipping discount, group health insurance, customer support, discounts on final value fees, and even protection from unpaid customers. Become a power seller you will attract more customers to your business because it shows that you are a trustworthy seller. This is a great way to earn extra money online by offering old and unused textbooks, CDs, DVDs, Blu-Rays, and games. You can set up your own small business website or just simply sell them on Amazon or eBay. You don’t have to sell used stuff. There are many wholesalers online that you can tap into as a supplier for your book business. You can even go into drop shipping. You can create upscale clothing lines, sneakers or luxury goods boutique small business online. This is a lot of fun as if you enjoy searching for the latest fashion, finding a perfect color scheme that represents you, and creating a brand that embodies the style and looks you love. You can start this small business by just offering a few specialty items or your own used high-end luxury clothes that you’ve completely forgotten about in the back of your closet. To be successful in this business, you must develop a distinctive plan of merchandise and style that’s unique to you and your customers. If you are artistic and can make some neat crafts, this small business is best for you. The biggest challenge of this small business is the ability to price your products reasonably and at the same time allow you to earn a profit. There is currently a high demand for custom craft products. You can offer your products online, through your own small business website, to local retailers, craft fairs, or third-party platforms such as eBay or Amazon. Here are 10 (DIY) things you can make and sell online. It is wise to first start this small business dealing with your favorite collectible, this way it will be more enjoyable and easier for you to establish as an expert. In the collectible world, customers rely on experts to provide insightful and details analysis of a particular collectible item or items. The internet allows you to reach a gobble market with your specialty much easier. You can build a successful collectible trading business by focusing on your favorite collectible space, find a niche or two is the best option. Many people have built a successful home-based small business buying and reselling cars. You do not need a large capital investment to launch this small business. What you need is a great source of used cars at a good price. Here are a few places to buy cars from rental car agencies lot sale and auction, car dealer auctions, bankruptcy auctions, and government car auctions. Other places to find cars at bargain-priced includes individual advertisements, Craigslist, eBay, and Facebook Market Place. It is best to focus on a few car models at a time, be sure to choose cars that are recognized as a good quality car such as Toyotas, Hondas, and Nissans. These cars are always in high demand and most retain good resale value. You don’t need a lot of money or experience to launch most of these small businesses ideas. You consider yourself a food lover. You love to taste new foods, cook new dishes, and testing new recipes. You love to teach others how to cook and always look for new ways to improve your cooking skills. You are an important person at every dinner, party, and gathering. Well, here are the 10 best small business ideas for this food enthusiast. This is an easiest, cheapest and fastest way to make money if you enjoy eating out. A Food Blogger share recipes or cooking instructions by posting articles or video on their own a blog, Facebook, Pinterest, and other social media platforms. If you are a good food blogger, you will attract heavy traffic to your blog site. The more people visit your blog the easier it is for you to attract high paying advertisers. There is no special rules or regulation that a food blogger has to follow like a restaurant. You are not selling the food items, you are only providing educational information on food. Here is a free training program for you to launch this small business as a Food Blogger. Professional working families do not have the time or desire to cook their own meal. Instead, they hire others to create well-balanced and healthy meals for their families. Anyone can start this small business at home cooking in bulk to deliver or at the client’s location. It is more profitable and easy to manage if you specialize in a certain style or type of foods. The biggest demand today is for the health and hygienic food. If you have experience in this area of cooking, you should imitate this business. Today launching a food delivery business is so easy with the help of Uber eat, Postmates, and other online food delivery services. Your job is to pick up food from local restaurants and deliver to their customers. You can start this small business at home by creating a schedule that makes sense for you and allowing you to work when it’s most convenient. You are paid by each order delivery, plus per mile from the restaurant to the customer location. You do not even need to have a car, you can rent a car rental agency or even delivery with your bike. However, if you have extra cars, you can make money by renting them to other drivers and charge a percentage fee for each delivery. This, home-based small business, teaching cooking can be private one-on-one or in a group setting. Today, cooking classes have become more of a social event than just a way to learn how to cook. People join cooking classes to meet others, enjoy sampling the food they cook and have a great experience. As success cooking class must be built based on expertise, experience, or both. So carefully define how you want to market your cooking classes and build a business around it. You can offer cooking classes in your home, or through selling the videos as part of an online at-home-learning course. Another option is to create your own cooking show to post on YouTube. Every small and big gathering, people always looking for a catering service. If you enjoy cooking a variety of foods for events, then a small catering business is perfect for you. Catering is a big task and many of your works are on weekends. This is a very popular small business in the food industry. With a small or moderate initial investment, any individual can start a catering business by specializing in a niche such as wedding catering, corporate catering, anniversaries and year-end party catering. Most of your business will come from the event planners, so it is important to team up with local event organizers to promote your catering business. A nutrition coach assists people in designing and following a healthy eating plan to achieve their health goals. The demand for this small business is strong as more and more people are concerned about the food they consumed and the effect on their health. Some of your clients may have specific medical issues to deal with such as diabetes, cancer or food allergies. Others may want to follow a specific type of diet, such as vegan or gluten-free. This business can be initiated as a home-based and part-time. You do not need to be a registered dietitian or nutritionist to start this small business, but it adds to your credibility and allows to charge more. Everyone loves baked goods. You can bake your own goods and sell them through local cafe shops, farmers market or online bakery shops. You might want to specialize in a specific baked item, such as a cookie business, a special event cake shop, or general baking services offering a wide range of treats such as cakes, muffins, bread and more. This small business is easy to start and manage. You can do this at home with very little investment and risk. A mobile food truck business is a wonderful opportunity for those with minimum experience in the foodservice industry. You are bringing the food to the customer. This type of food business is designed to service areas such as construction site, sporting events, farmers market, industrial parks, cinemas, religious centers, carnival sites, campgrounds, and beach areas. You can offer both hot and cold items on a food truck. The key to success in this small business is the location. A location that you choose to set up your food truck must have enough customers to sustain your food services. You can start this small business part-time at home. You can be very successful in this small business if you are artistic and have the creative skills to bring together food items to create a beautiful gift basket masterpiece. You may want to choose to sell gift baskets for all occasions or specialize in a specific type of gift basket. You can make money by offering the gift basket directly from your website, by promoting your gift basket arrangement services to corporations or affluence people whose don’t have time to shop for gifts. The rapid growth of online shopping and the busy professional population has created a huge demand for grocery shopping and in-home delivery services. To start this small business, you will need a reliable transportation, a cell phone for communication, and a business website to take customers’ orders. There are a few options to start a grocery delivery and shopping business. The easiest is to contract with local grocery stores to deliver customer orders for a fee. The grocery store would charge and process the customer order, you will do the deliveries. Another option and more lucrative is to establish an account with a grocery wholesaler. The customer gives you the order, you place this order with the wholesaler, then resell groceries and deliver the goods to your customers at a profit. If you are looking for some of the best real estate business ideas that you can use to launch a lucrative small business, then here is the list of 10 most famous real estate business ideas that I have gathered from the real estate industry experts. These small business ideas are easy and affordable for you to start with very little investment. This one is perhaps the most popular and affordable real estate businesses to start. Your responsibility as a property manager is to take care of and perform maintenance on buildings and real estate properties for individual, banks or real estate investment companies. You are acting as the middleman between tenants and landlords. The real estate owner will look to you to care and find a new tenant for vacant properties, collect rent and respond to complaints from existing tenants, and conduct property inspection for routine maintenances. Tenants rely on you to repair and fix unexpected problems with their rental unit, communicate their expectations and requests to the owner (landlord). A successful property management business requires the entrepreneur to have a strong understanding and knowledge of local, state, and federal housing laws, and also to be creative and effective in problem-solving when acting as a liaison between landlords, tenants, and contractors on a daily basis. This is a fun and rewarding small business to start. As an interior designer, you will be using your artistic skills to assist homeowners, realtors, or companies in selecting colors, lightings, blinds, furniture, and other accessories to bring out the beauty in a house or building. The goal of an interior designer is to improve the look and feel of an interior living or workspace and to make them both appealing and functional to meet the needs of the owner or occupants. An interior design business with a focus on a specific area such as kitchen design, living or function rooms design, or bathroom design is more lucrative than a general practitioner. This is another easy and affordable real estate related small business that an entrepreneur who is serious about making money should consider starting. Landscape and lawn care business involves helping landowners planning, designing, management, and improving the property’s curb appeal and beautifies environment. The advantages of owning a home based lawn care or landscaping service are being your own boss, master of your own destiny, work as much or as little as you want, and no commute to work if you’re based in your own community. The downside to this business is that lawn care or landscaping services are a seasonal business with long downtime during the winter months. Therefore, you will need to aggressively market your services in the spring and summer to have enough clients to carry you through those income-free months. Information is key in the real estate industry. You just need to be able to provide relevant contents on your blog to attract visitors. The information that considers valuable in the real estate industry are property prices, real estate industry trend, and insight or advisory services to investors who are looking to invest in real estate. The key to blogging success is the number of buyers that you can attract to your website. If you have a good amount of traffic on your blog, you can easily secure good advertising deals from realtors and other real estate businesses looking to expose their brand to people online. It is important that you update your blog regularly to continue attracting traffic. Everyone needs to clean their house or property. A property cleaning business is another real estate related small business that you can start at home and on the weekend. Businesses and homeowners hire cleaning agencies to help maintain and keep their properties clean. The property cleaning jobs are mostly done after business hours or on the weekend. Your works include cleaning offices, remove and collect trash inside and outside the facility, and cleaning or restocking the bathrooms. The skill and initial funding for a property cleaning business are very low. If you know how to clean a house, you can start this small business. It is probably the easiest real estate related business that you can start with just a broom and a dustpan. If you are enjoying and good at designing website, which’s very easy and free with WordPress Website, you can build a website where property owners can list their properties up for sale, lease and rent. You can charge a flat fee for each listing, a commission on each transaction, or both. This type of real estate business is simple to operate because the business requires minimal startup capital and it is a business that can run on autopilot. Most of the work involved with this small business is creating and maintaining the website. If you are skilled or have knowledge of how to fix small projects around real properties, then you can make lots of money offering your handy services to property owners. Many property owners need someone to help them with small projects such as fixing broken light bulbs, replacing leaking water faucets, painting a room, change out a water heater, cleaning out the gutter, and many smaller jobs around the property. You can start this small business by yourself or with a partner. All you need is a few tools and reliable transportation to travel around performing your handyman works. Your primary customers are retirees and working professionals who don’t have the time or unable physicality to perform these small property maintenance tasks. All roofs are subjected to wear and tear due to the exposure to harsh climatic conditions which is why after a period the roof will start to leak when it rains. When the roof is leaking, property owners will need an emergency roof repair man to help fix the leakages and to replace worn-out roof singles until the next time they have the money to reroof. This type of small business is always in demand, especially during the raining season. It is a very profitable small business to start because you just need a ladder and some tools to get on the roof and fix the leakages. Most of the time, property owners will have to prepay for supplies, so you don’t have to carry inventory. There are many different real estate agencies that you can start if you have a professional skill in real estate laws, new housing construction, real estate sale and marketing, or real estate financing. Property owners need professionals to help with all aspects of real property transactions. A lawyer is needed to prepare legal documents for buying, selling, renting, or transferring of property. A broker is needed to market and sell the property. A builder is needed to help manage new construction. A mortgage broker is needed to finance the purchasing or funding a new house construction. If you have acquired these necessary professional skills, then starting a real estate agency business is another thriving and profitable small business that you should consider. This small business idea is a favorite among retirees. If you have an extra room in your house or condo, you can offer it for a short-term rental to tourists or business travelers. You can start this real estate small business by listing the room on the internet using the website such as Airbnb. You can offer short-term rental by the day, the week, or the month. If your home is in a high-demand area, you could potentially make enough passive online income to help pay bills or supplement your retirement income. The wonderful thing about this business is you can manage everything from your computer or phone, no matter where you are. These are just a few best small business ideas that I have collected over the years. I still have more to add to this post. I will be adding more small business ideas every day as I am organizing them into categories according to interest and passion. If you have any small business ideas to add to this list of the best small business ideas, please post them in the comment with detail analysis to add to this post. Thank you. This is a great post (very long though). I’m glad you didn’t say anything about doing online surveys. Some sites say that and that’s my radar for someone who doesn’t know what they’re talking about. 1. Janitorial – if you don’t like to clean toilets, no problem. What they did was “specialize” in commercial real estate cleaning, where they do lobby’s and hallways. They never go into the rooms. They do this now for hotels, apartments, condos. And my friend started this business with her 60 year old mom. 2. Auto Detailing – If you like cars/trucks, this is an easy job. My friend started a “mobile” auto detailing business where he comes to you. He provides the soap and hard work, and the client provides the water. 3. Old Pallets – this one I actually heard on a podcast. A old guy goes around businesses collecting their pallets that they get from shipments. He then resells these to other businesses that need to ship things. Rinse and repeat. He started doing this out of his garage in his house and he now has 2 warehouses full of pallets and now has a huge business where he employs around 20 employees. In just 1 weekend with a truck, you can collect pallets and resell them and make $1000-$2000.